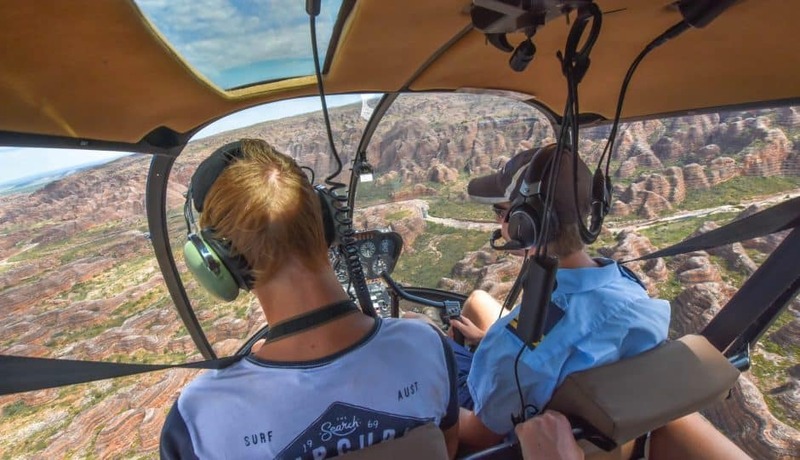 This 42 minute helicopter flight departs Bellburn Airstrip located in Purnululu National Park. 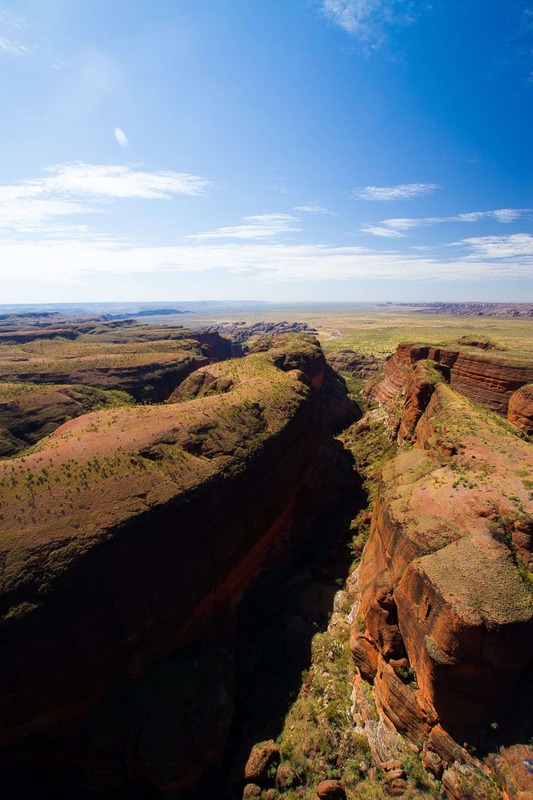 Head towards the southern tip of the Bungle Bungle Range to view Deep Gorge and “The Twins”. Continue to the highest point of the Bungle Bungle Range and view the spectacular Red Rock Gorges of the north-west end of the park. View the eastern side of the range, and encounter incredible eroded sandstone formations and a maze of gorges, soaring over the Valley of the Giants. 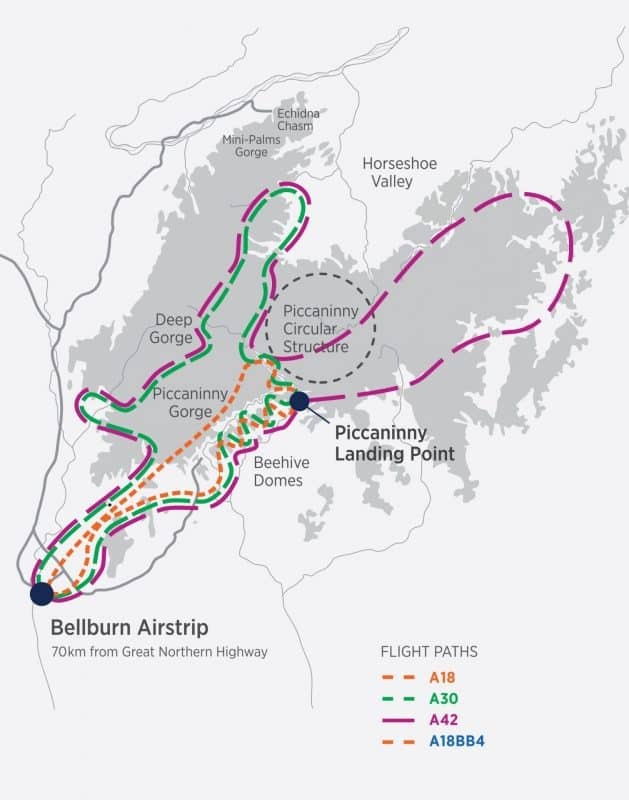 Fly along the southern face to the mouth of Piccaninny Gorge, and then follow Piccaninny Creek to view and photograph Cathedral Gorge and the famous orange and black striped beehive shaped domes.